mwe3: Im so glad you chose to make Stardust as a concept album of Earthbound themes and the mysteries of the universe. Its quite a concept. Did you sometimes feel overwhelmed by the enormity of the ideas presented and did you do much research into magnifying the concepts on Stardust? Kerani: I started making plans to create a space-themed album right after the launch of my previous recording, Equilibrium in 2015, where you can hear me hint at space music on the track called Hypatias Universe. By choosing this vast concept, I knew I was in for a challenge because there are hundreds of space-related subjects I could write about. Before touching any instrument, I spent many weeks doing research as I wanted to define the character and the feel of the album first by choosing the topics, which I was able to easily identify with. Stardust was to become mysterious, adventurous, bold, romantic and joyful at the same time. mwe3: Have you long been fascinated with science fiction and also music associated with outer space? Did you have some parameters about what resources you would use in the making of the Stardust album? For example, the various quotes you feature in the booklet, by President Obama and also the different people like Neil DeGrasse Tyson, Tesla and even Yuri Gagarin, the Russian cosmonaut. You must have had a number of quotes like that, how did you choose these specific ones? Kerani: I am a child of the 1970s; a decade in which an enormous amount of revolutionary things happened in the entertainment industry. There was Star Trek, Battlestar Galactica, Star Wars, and many more. Watching these films and series was an otherworldly experience on its own. Add to that the electronic/space music of J.M. Jarre, Vangelis, Tangerine Dream, etc. and your brains were rewired forever!  My choice was quickly made! mwe3: The title track Stardust, is a masterpiece. It even has a dawn of mankind kind of sound to it. You mentioned on that track, that you were thinking of the start of the universe. It sounds like a kind of starting music, almost like an overture. Did you repeat any of the themes from Stardust, the song elsewhere on the album? 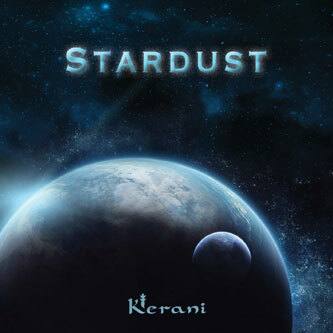 Kerani: Stardust is a real opening track. It paves the way for the other pieces thereby showing the grandeur in which the album will continue. I could have repeated parts of Stardust on the rest of the album as it is often done in classical music, but I deliberately chose not to do so. Each track was to become different and had to convey its own message and feeling. mwe3: Why do you think there was such a cooling off period regarding interest in space travel, after the Summer 1969 Moon landing? It seems like people were too busy fighting wars to deal with the reality of space exploration. And, do you foresee a time, say one hundred or two hundred years from now when things will be different and humans will strive in earnest to colonize other planets and actually move people there? Kerani: With the moon landing, the climax of the space race, that was initiated 8 years earlier, was reached. After this major event, the world spiraled into the oil crisis and wars. But lets also not forget the disastrous flight of Apollo 13 in 1970, which overturned NASAs reputation. After that accident, NASA went through great lengths to ensure the safety of their crew on future flights. All the advancements in space technology point to that direction, yes. The search for habitable planets is in full swing and it wont be long before we actually find one that we can colonize, Im sure. mwe3: Were some of the same players on Stardust also on your Equilibrium album from 2015? Seems like you went from equality among the human sexes, man and woman, on Equilibrium, all the way to space exploration on Stardust. Tell us about working with Arno Op Den Camp and some of the other players on Stardust and have you done live shows with them? Kerani: Wilfred (violin), Joanne (Viola), Joep (cello), Lars (Horns) and Romain (guitars) have worked with me on Arctic Sunrise and Equilibrium. The string players are connected to the Dutch Philharmonic. Lars is principal horn of the André Rieu Orchestra. Romain is a music teacher by profession and an excellent composer. We often record with these musicians and its always a joy to work with them because they are talented and can handle many different music styles. Arno Op den Camp is an exceptionally gifted recording engineer with a very sharp ear for detail. His sound design skills are second to none. We have been working together for 5 years now. Stardust is our fourth Kerani production. Arno is my twin-soul in every aspect. He hears exactly what I hear during the mixing sessions and we dont need many words to get good results. mwe3: Coming after the grandeur of the title track, Cosmic Sunrise sounds more starker like the way we feel about space now, scared of its vastness and even more scared of the challenges we all face when we strain our necks to look up at the stars and moon and planets and think we are separate from all that. Does Cosmic Sunrise combine a fear of space and a deeper longing to be universal beings and not just earthlings? Kerani: Space is a big place... big being a terribly wrong adjective to describe its size. It is easy to become fearful when one realizes how small we are in this gigantic creation. But the more we discover and learn about it, the more universal we become. We should not be afraid. Fear belongs in the middle-ages when earth was thought to be flat! Humans have journeyed a long way, from primitive creatures to advanced intelligent beings who are ready to explore the stars and beyond. In this context, Cosmic Sunrise is nothing more than looking up in awe and wonder, straining our necks in confidence and reaching for the unknown without fear. mwe3: I have been watching 2001: A Space Odyssey a lot these days as it connects my loneliness of being an earthling with the vast hope that one day the universe and solar system will make more sense to us and maybe well stop fighting among ourselves over every little thing. Was 2001: A Space Odyssey part of the cosmic aura during the writing of Stardust? Kerani: 2001: A Space Odyssey is a visionary masterpiece that everyone should watch at least twice in their lifetime. The film gives a feeling of incredible loneliness, but it also leaves the viewer with many unanswered questions about our existence. Although this film was nowhere near the cosmic aura while I was writing Stardust, I do believe to have touched upon the very same elements by describing various aspects of the universe knowing that, in this lifetime, I will never be able to connect the dots. 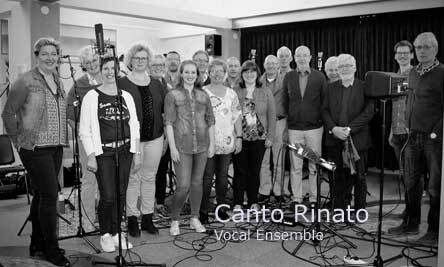 mwe3: Tell us about working with producer Kabir Sehgal as well as the Roermond's Orkest and Canto Rinato choir. Was this something you wanted to do for a while? Have you worked with them before and how did you meet Kabir and decide to work with him? Are the orkest and vocal choir on every Stardust track? Kerani: Kabir Sehgal and I met shortly after my submission of Equilibrium to the 58th edition of the Grammy Awards, 18 months ago. He expressed his appreciation of my music. He particularly liked the fact that my songs always come with content. When I told him that I was recording a new album, he immediately offered to write the liner notes for Stardust. I was so delighted! 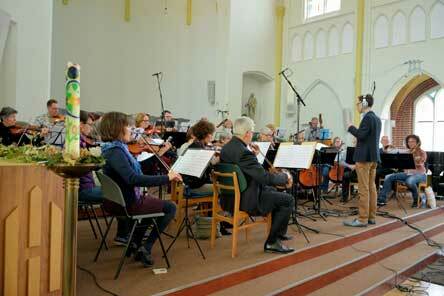 Working with a symphonic orchestra and a choir was a lifelong dream come true! I have always wanted to hear that warm, organic sound of an entire orchestra on my albums but never got the chance to do so, until now. Of course, this changed the entire recording process and the way I was used to working. All of a sudden, I had to take 60 musicians into account! I double and triple checked every note, chord and musical line. Weeks went into the preparation of the scores. The orchestra can be heard on every track except on Beyond. mwe3: Regarding the Rosetta track, tell us about the ESA and the Rosetta project? Are you saying that Rosetta landed on a meteor? Its so complicated but what is the link between the Rosetta project and the Rosetta stone? Its just amazing that theres millions of asteroids and meteors flying around space yet none have destroyed the Earth yet! Someone compared the music of Gyorgy Ligeti to sounds detected in the Rosetta. Its amazing to think that even some of the music first heard by millions in 2001: A Space Odyssey were possibly inspired by sounds of outer space. Is there music in outer space? Will we ever know? Kerani: Rosetta is the name of the satellite that took the lander (Philea) to the comet. The name of the comet is 67P/ChuryumovGerasimenko. Mind you, it would have been so much easier if the comet was named Rosetta! Anyway, this project of the European Space Agency was unprecedented and required an exceptionally high level of engineering. It takes a tremendous amount of time and effort to compute the exact trajectory of both the satellite and the comet for them to be able to encounter each other. I believe that the Rosetta probe was named after the stone that was found in Egypt. Yes, there is music in outer space. My theory is as follows: where there is movement, there is vibration. Where there is vibration, there is resonance. Where there is resonance, there is frequency. Frequency is sound. Where there is sound, you will have a combination of sounds, which is music. Maybe not the music based on our theory, but music nevertheless. mwe3: Was man put here on Earth to find the secrets of eternal life and the secrets of the universe? Do you think thats the reason were here and not just an accident of birth? we live and we die. But something in me does not believe in coincidence or accident of birth. I cant imagine us being born without a purpose in life. We are part of something huge and it is our task to unravel the secrets. mwe3: That quote featured in the Stardust booklet by Tesla from the 19th century is fascinating. So man knew way back then that the movement of planets was going to become symbiotic in the way were describing our own technological evolution of the past 35 years. For example, the internet and its protocols might be an early symbol for the way we will one day communicate between the planets. What influence did Tesla have on you and your music? Are these foreshadows a coincidence or part of a bigger plan? Is that where you got the idea for Perpetuum Mobile? Kerani: Tesla was way ahead of his time. He spoke about wireless communication in the 19th century, can you imagine? Perpetual motion is something that intrigued many scientists in the course of history. Leonardo da Vinci made several attempts to induce constant motion, but failed because of the gravity and friction here on earth. With Perpetuum Mobile, I wanted to overcome this obstacle on a musical level and create a piece that basically could go on forever. The entire song is carried by an ongoing, repeated melodic pattern around which everything else revolves. This is my interpretation of perpetual motion. mwe3: Tell us about working with Terry Oldfield who added flutes to the track Beyond. You said the track is emblematic of the vastness of the universe. Did you record with Terry in the studio or was his contributions done via the internet? Tell us something about Terry. Most of us know about his famous brother Mike but theres equal greatness from Terry and Sally Oldfield too. Is Beyond the key word on Stardust? The universe seems beyond us all. What did you tell Terry as far as instructions in getting the sound from him that you wanted for the track? 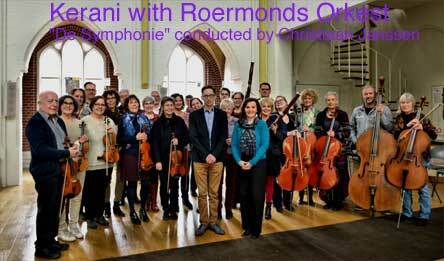 Kerani: During his 2015 European solo-tour, Terry Oldfield visited the Netherlands and gave a concert in our studio. I had the privilege to accompany him on keyboard, which was quite exciting as we had rehearsed the set list only once. Luckily, everything went smoothly during the concert. When Terry left, he said that I could always count on him if I ever needed the silver flute in my compositions. I immediately thought of him when writing the arrangements for Beyond. As I am fond of Terrys own sound and style, I didnt give him any other instruction than to create spaciousness. He did that beautifully. The word beyond seems to be the leitmotif on this album, indeed! mwe3: The Next Step is track six on Stardust. You said the track was inspired by Neil Armstrong taking the first steps on the moon. The musical themes explored on the track are quite inspired and inspiring. Its also the shortest track on Stardust. On The Next Step, were you going for more of an upbeat, fun-filled kind of track to escape the loneliness of outer space? Thats one of the more progressive rock sounding tracks, probably because of the fine guitar solo by Romain van Beek. Sort of the rock element exploring outer space, compared to the more impressionistic Ligeti-like music usually associated with space. Kerani: The Next Step is the most earthy track on the album. It refers to every advancement made in space exploration and also to the missions to Mars and the other planets. With this track, I wanted to highlight the joy and triumph that is experienced at every successful mission. Romains guitar solo points to the boldness and courage we must have to pursue and achieve our goals in space travel. 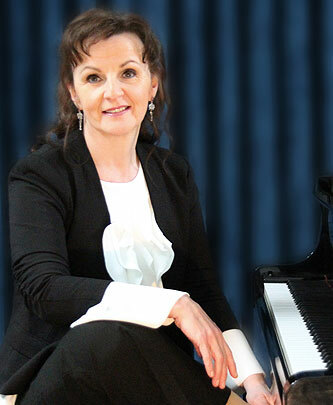 mwe3: You recorded the piano parts of Stardust with your Steinway & Sons D-274. What is special about this Steinway piano and what other keyboards helped determine and in fact dominate the keyboard-centric sounds of Stardust? Has there been new gear-related news in your keyboard arsenal since Equilibrium? 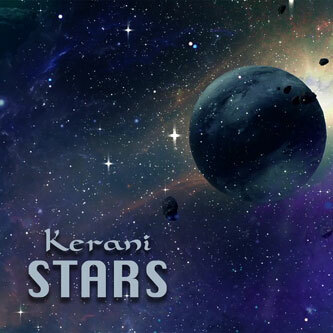 Kerani: The biggest challenge during the production of this album was combining the warmth of the symphonic orchestra with the electronic sounds of the synthesizers. In order to respect the organic sound of the orchestra, Arno and I felt that we couldnt possibly use a synthetic piano sound, so we went for a Steinway & Sons, which I wish were mine! (lol) Stars is the only track played on a digital piano. Other keyboards used are the Yamaha Motif XS8, the Roland A-800 Pro midi controller and my 35-year old Roland Juno-6! There have been some changes in gear to facilitate my work method. I write all my compositions and arrangements on my very loyal Yamaha Motif XS8, which is hooked up to a computer and different interfaces and is now a complete workstation containing many plugins. mwe3: I liked the quote your used by Lichtenberg regarding the track Infinity. It seems like even 300 years ago, some knew that even after we scan the horizons and discover new boundaries, there will always be another horizon to explore, hence the term infinity? So everything is endless and unfinished in the world? What else did you discover about Georg Christoph Lichtenberg? Funny that he was a scientist and a satirist too! Seems like we have to have a sense of humor about our miniscule standing in the universe, ala Within You, Without You, the Beatles' track, which kind of sums up mans plight as it ends with the Beatles laughing out loud, perhaps at their own seriousness! Kerani: Ah! To know the truth, one must always listen to people who possess a good dose of humor and sarcasm. They seem to perceive things differently than we, serious creatures, do. Lichtenberg was a bright spirit; he was the first-ever experimental scientist in Germany. As far as we can see with our telescopes, the universe is infinite. Theories even suggest that it is still expanding as a result of the big bang! How can something that is already infinite expand, I wonder? Anyway, I thought this was a great concept for this track. 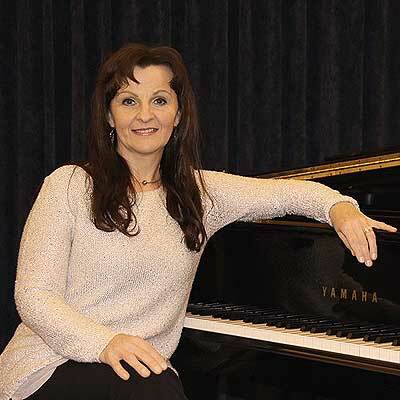 Im particularly proud of Davinia van der Zee who delivered a magnificent solo vocal. mwe3: You say Gravity continues in the same key as Infinity. Why did you do that or are the tracks connected? Funny how much gravity plays a part in space. Is there a kind of weightlessness about that track? Funny how the word gravity has different meanings, theres the space weightless connotation yet it also means like the gravity of the situation, something quite serious about that word! Or even to gravitate towards something, like an attraction. Its a symbiotic word! Maybe space is symbiotic too. Kerani: The reason why Gravity continues in the same key as Infinity is because I wanted to put emphasis on the size and weight of everything in space. Infinity is a much lighter piece of music than Gravity. Whereas the former will take you by the hand and give you the impression to float across the universe, Gravity will immediately pull you down with its dark sounds of scraping iron and heavy percussions. mwe3: Worlds Unknown was inspired by Japanese astronaut Koichi Wakata. How did you find Wakatas poem and what does it say to you and how did it inspire that track? Is Worlds Unknown the most pure track on the album as it features only piano and orchestra? Sort of like a hopeful track on the album, saying okay we wont find the secret of the universe during our lifetimes, probably, but we can still be happy with our own planet, the first planet inhabited by man. Founding members of Earth unite! 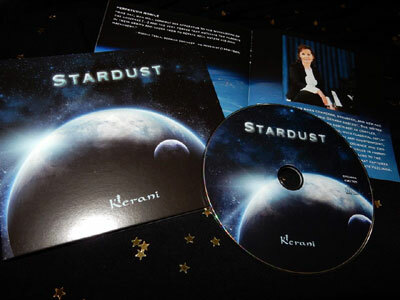 Kerani: As stated before, I had this vision of Stardust becoming a mysterious and bold, but also a romantic album. Amid the sonic richness of the other tracks, I wanted to write one captivating and transparent piece for piano and orchestra. I cant remember how I found Dr. Wakatas poem, but I am grateful that I did! His poem speaks of his profound love for our planet and the yearning to discover other, unknown worlds. This piece of music has become a pure love song for earth. I sent a copy of Stardust to Dr. Wakata and received the following personal reply: Dear Ms Kele, Thank you for sending a CD copy of your new album. I truly enjoyed listening to the peaceful tunes of your music. Let's explore 'Worlds Unknown' together. Best regards, Koichi. This is such a highlight! mwe3: Stardust closes with the track Stars which is a remix of another track. When was the original released? Does the track hark back to the original space music pioneers like Oldfield and Jarre? The Stars track is all about respecting ourselves and our planet? The track is a great upbeat way to end the Stardust album. Is Stars a song of hope? mwe3: So now with Stardust gaining acclaim in the music world, what else would you like to tell fans about the future and the future of your music? Is Stardust a plea to stay hopeful and focused during a time of upheaval on planet Earth? What other hopes and dreams are you wishing for Earth as we approach 2020? Kerani: Definitely! With Stardust I try to highlight our fragility as human beings living collectively on this planet. This album is a plea to everyone to take care of each other and of our environment. We are living in turbulent times. We are incessantly being swamped by tons of unfiltered, often superfluous information. I would like to tell everyone not to sit back and complain about the situation, instead find your truth, come forward and do good wherever you can. Ghandi said: If you want to see change in the world, then BE the change. Only then can we secure the future of our children and grandchildren.